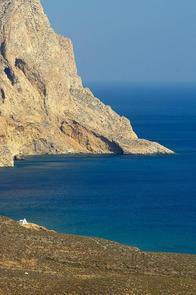 Anafi is the southernmost island of the Cyclades cluster and the closest to Santorini. With a surface area of 151km², it is inhabited by approximately 300 people. The island does not attract many tourists, however in recent years, it has become a popular destination among people interested in quiet and relaxing vacations near the sea. 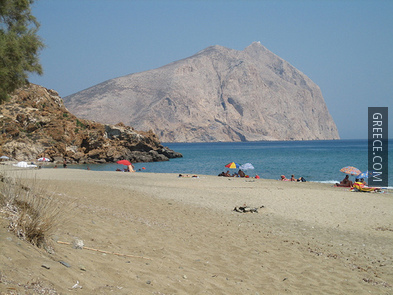 Anafi has some amazing beaches to offer. According to mythology, the island was created by Apollo. The legend says that, while returning from the Golden Fleece quest, Jason and the Argonauts were hit by a tempest; to save the hero and his companions, Apollo created Anafi that magically appeared as a safe haven. 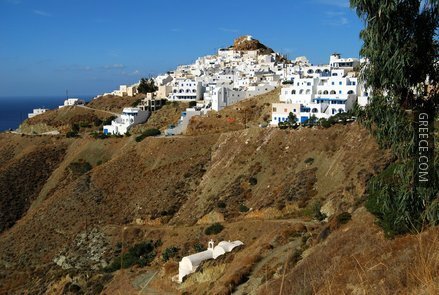 The ancient history of Anafi is not well known, as the archaeological findings are limited. 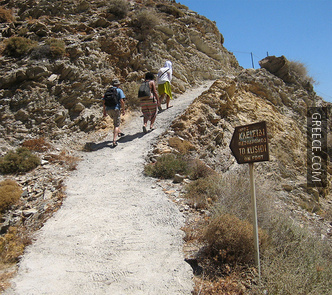 It is almost certain that the island was under Minoan rule during the 12th century B.C. and it had connections with the Phoenicians. The Dorians appeared here during the 9th century B.C. 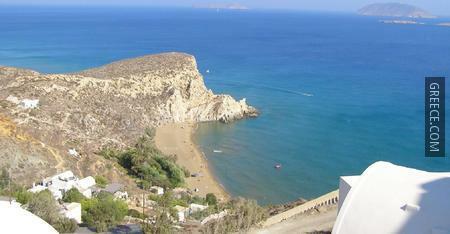 and four centuries later, Anafi joined the Athenian alliance. When Romans occupied it during the 2nd century B.C., the island was used as a place of exile. 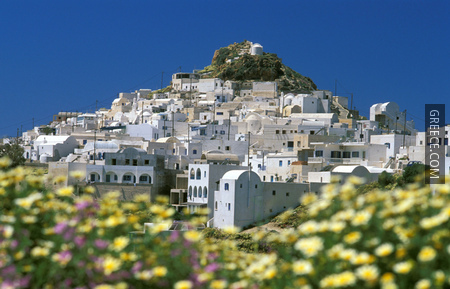 During the Middle Ages, when Venetians ruled the Aegean, Anafi belonged to the Duchy of Naxos. In 1537, it was conquered by the Turks and was liberated in 1832. 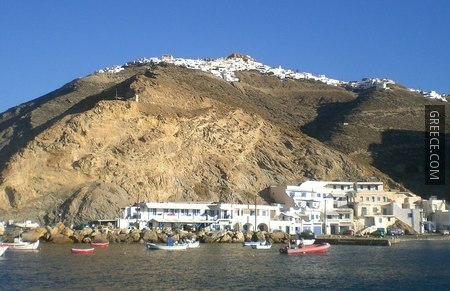 Hora: It is the capital of the island, 2km away from the port. Hora, untouched by the passage of time, is close to the remains of a 14th century Venetian castle. You will also find cafes, taverns, a sole tourist shop and few rooms to rent. Agios Nikolaos: This is the port and busiest part of the island. It is beautiful, small and unspoiled and offers a very nice sandy beach. Also here you can find a few taverns, rooms to rent and a tourist agency. 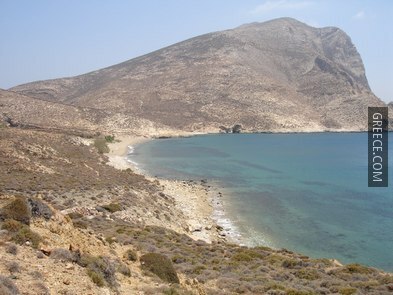 The beaches of Anafi are very good and most of them are sandy. 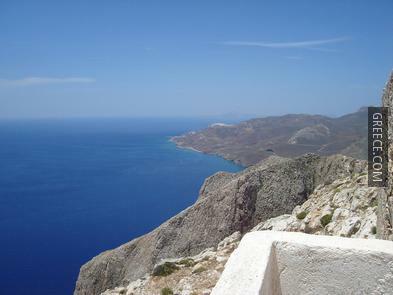 All of them face to the south and are situated east of the Agios Nikolaos port. The easiest way to reach the various beaches is by boat. But you can also go on foot if you prefer walking. 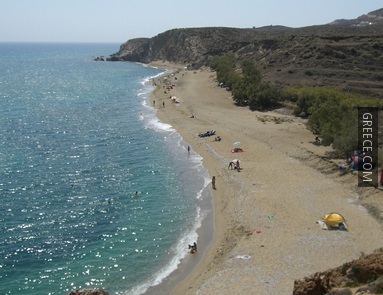 Agios Nikolaos: The beach in the harbour of Agios Nikolaos is very nice and sandy. 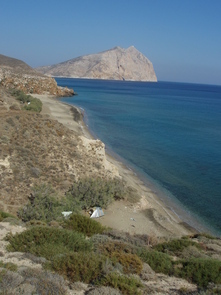 Klisssidi: The beach is near the port, about 10 minutes walk. 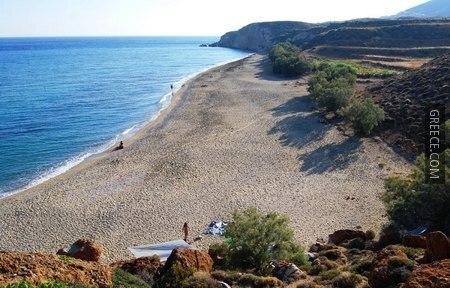 It is the most popular beach on the island, about 200m wide, with sand and tamarisk trees. Above the beach you can find some rooms to rent and a snack bar. Katsouni: This beach is next to Klissidi. A few people camp here, but generally this is a quiet beach. 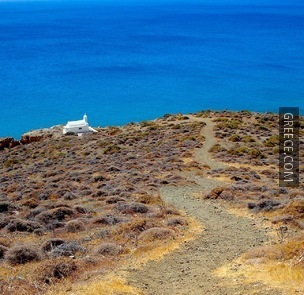 Megalos Roukounas: This is the best beach on the island. It is about 500m long, with sand and tamarisks. A single tavern is available, near the beach. Prassies: A little further from Megalos Roukounas you can find Prassies, also known as the monastery beach, since it lies in the shadow of the monastery of Panagia Kalamiotissa. Visitors are sparse in this rather isolated beach. 1. 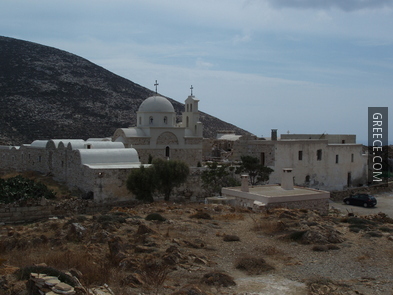 Monastery of Panagia Kalamiotissa: This monastery is the main sight of the island. It can be reached by a three-hour walk from the capital towards the eastern peninsula. The remains of the Temple of Apollo are close to the Monastery. 2. 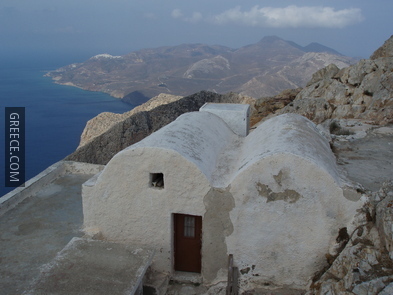 Monastery Zoodochou Pigis: It is a monastery dedicated to the Virgin Mary and is worth a visit. Women should make sure they have long skirts and cover their shoulders, while men should be wearing long pants. There are three ferries per week connecting Anafi to Piraeus. These ferries may also pass through the islands of Ios, Naxos, Paros, Sikinos, Folegandros and Santorini. 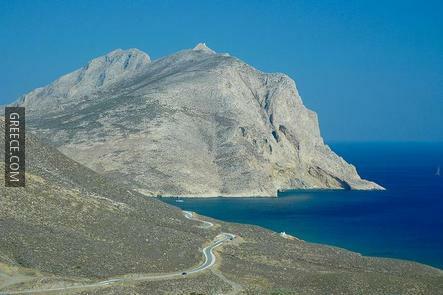 The trip from Piraeus to Anafi lasts about 7 hours, or 4-5 hours on a high-speed ferry. 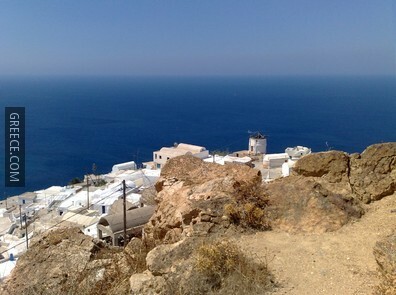 Local services connect the island with Santorini virtually on a daily basis; Anafi is also connected with the rest of Cyclades 2-4 times a week. 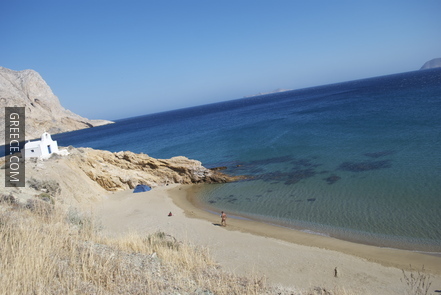 There is a bus service between Agios Nikolaos and Hora and a boat can take you to nearby beaches. There is no car rental agency, as the island is small and the roads are bad. 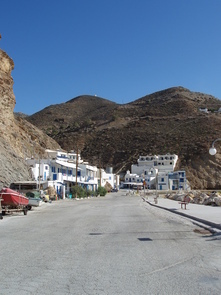 Anafi has a temperate Mediterranean climate. Winter is relatively mild with strong winds. 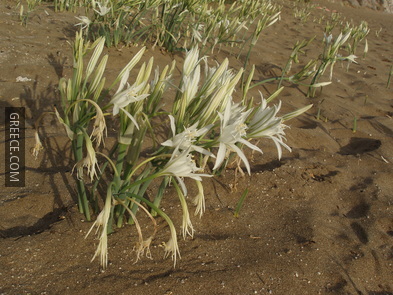 Summer is hot with cooling winds especially during August. 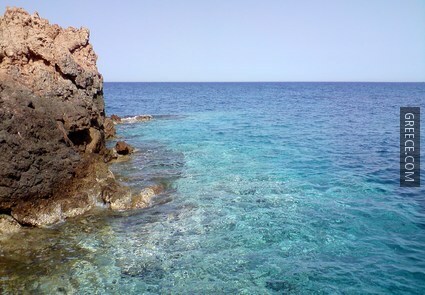 The best time to visit the Island is during June and September, because visitors are limited and the weather is ideal.